Even in small towns, battles between animal control and dog owners over dangerous dogs happen, and these battles can become costly. Take for example, the protracted legal battle that happened in California Valley, CA. population 500, between dog owner James Lavelle and animal control authorities over the fate of his two beloved Shepherd mix dogs, Blaze and Dakota. California Valley is located in the remote high desert in California near Mojave, approximately 168 miles north of Los Angeles. Blaze and Dakota were impounded and quarantined by animal control in February 2012 as a result of an 83-year-old lady’s allegations that she was the victim of a dog bite by at least one of the dogs. The victim alleges that both dogs charged her, knocked her down, and bit her on the ankle and buttocks. At the time of the incident, the dogs were running off-leash which violated local leash laws. The dogs were declared “potentially dangerous” subsequently at dangerous dog hearing. 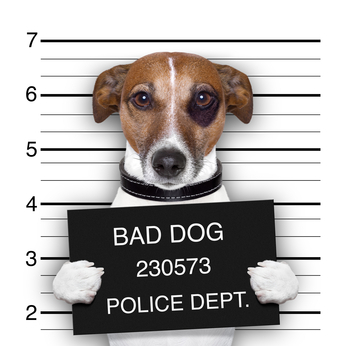 Dog owner Lovelle argued that his dogs were not involved in the incident, and therefore he should not have to register his dogs as “potentially dangerous.” In addition, Lovelle was ordered by the court to build an escape proof enclosure on his property, and keep his dogs on leash whenever they were taken off his property. Lovelle was also ordered to pay nearly $4000 for impound fees for both dogs. 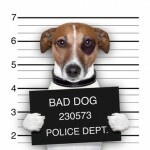 Lovelle contested these rulings by requesting repeated administrative hearings, much to the chagrin of animal control. The case became costly for both sides. California Valley has spent nearly $52,000 on legal fees and costs for the time the dogs were impounded, and dog owner James Lovelle spent about $4000 for their defense. Subsequently, however, Lovelle, won his case and had his dogs returned to him, albeit with some restrictions. This case exemplifies that it could become costly for an owner to battle animal control over a beloved dog. However, it could well be worth the cost and effort. I have usually found that if owners in California steadfastly defend their dog, preferably with the assistance of an animal rights attorney and an animal behavior dog bite expert, chances markedly increase that the life of the dog will be saved, and possibly ownership maintained. 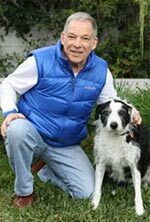 Dog owners facing similar problems with animal control agencies should visit the section on this website dealing with dangerous dog hearings.